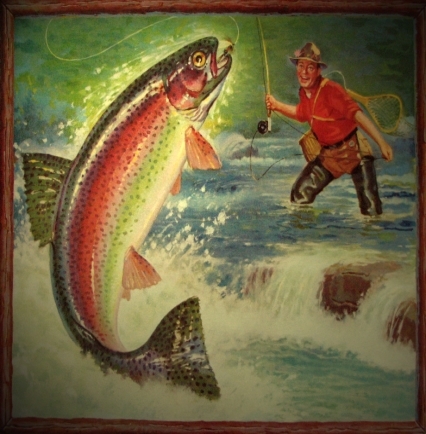 ﻿Bruce Goodman's "A fisherman's tale"
Logan was almost five years old. He loved to go fishing with his Dad. Sometimes his grandfather would come fishing too. They would fish in the river. There was a quota limit of five trout per person. Logan’s father and grandfather had caught twenty-three. “I’d better take these fish home in the car before the ranger turns up,” said Logan’s grandfather. He went off in the car. Logan and his Dad stayed on fishing. But who is this approaching? It is a stranger in uniform.